Macbook Pro has an eighth-generation Intel 6-core Processor for up to 70 percent faster compute speeds. 1 a brilliant and colorful Retina Display featuring true Tone technology for a more true-to-life viewing experience. Latest Apple-designed keyboard. And the versatile touch Bar for more ways to be productive. It's Apple most powerful notebook. Pushed even further. 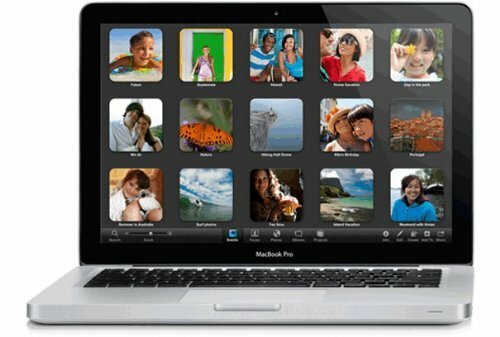 MacBook Pro features a high-performance Intel Dual-Core processor in a light and portable design. A brilliant Retina Display. And 10 hours of battery life. It's a notebook built for the work you do every day. Ready to go anywhere a great idea takes you. 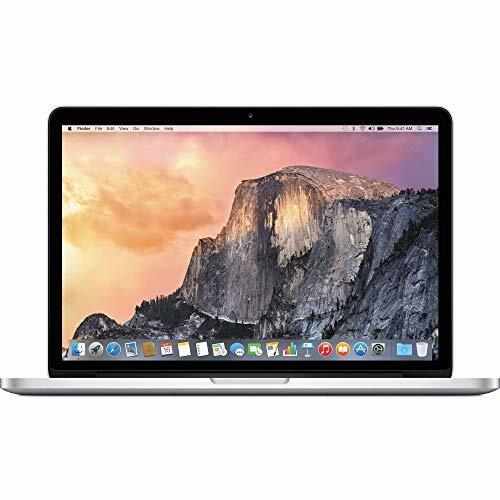 The MacBook Pro "Core i7" 2.5 15-Inch (Dual Graphics - Mid-2014 Retina Display) features a 22 nm "Haswell/Crystalwell" 2.5 GHz Intel "Core i7" processor (4870HQ), with four independent processor "cores" on a single silicon chip, a 6 MB shared level 3 cache, 16 GB of onboard 1600 MHz DDR3L SDRAM (which cannot be upgraded later), 512 GB of PCIe-based flash storage, and dual graphics processors -- a NVIDIA GeForce GT 750M with 2 GB of dedicated GDDR5 memory and an integrated Intel Iris 5200 Pro graphics processor with 128 MB of "Crystalwell" embedded DRAM (and shared system memory). 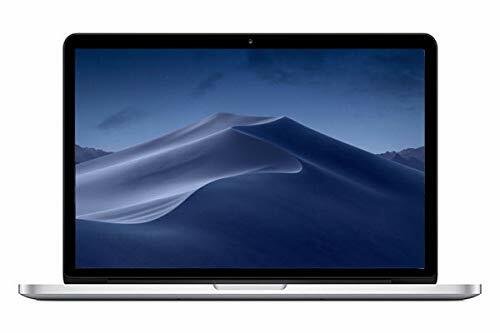 It also has an integrated 720p FaceTime HD webcam and a high-resolution LED-backlit 15.4" widescreen 2880x1800 (220 ppi) "Retina" display in a case that weighs just less than 4.5 pounds (2.02 kg). It does not have an internal optical drive. Connectivity includes 802.11ac Wi-Fi, Bluetooth 4.0, two USB 3.0 ports, two "Thunderbolt 2" ports, an HDMI port, an audio in/out port, and an SDXC card slot. In addition, this model has a backlit keyboard, a "no button" glass "inertial" multi-touch trackpad, a "MagSafe 2" power adapter, and an internal, sealed battery that provides an Apple estimated 8 hours of battery life. MacBook Pro has an eighth-generation Intel quad-core processor with compute speeds up to twice as fast. A brilliant and colorful Retina display featuring True Tone technology for a more true-to-life viewing experience. Latest Apple-designed keyboard. And the versatile Touch Bar for more ways to be productive. It’s Apple’s most powerful 13-inch notebook. Pushed even further. This is an Apple MacBook Pro 13" MF839LL/A Laptop computer, featuring Intel i5-5257U 2.70GHz processor, Webcam, 8GB RAM, and a 256GB SSD. This machine is fully refurbished and will offer you years of computing, backed by our 90 Day Warranty! 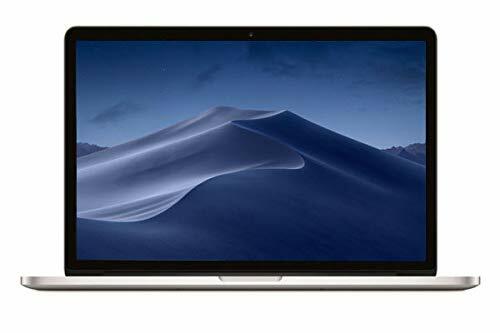 The MacBook Pro "Core i7" 2.2 15-Inch (Integrated Graphics/Iris Only - Mid-2014 Retina Display) features a 22 nm "Haswell/Crystalwell" 2.2 GHz Intel "Core i7" processor (4770HQ), with four independent processor "cores" on a single silicon chip, a 6 MB shared level 3 cache, 16 GB of onboard 1600 MHz DDR3L SDRAM (which cannot be upgraded later), 256 GB of PCIe-based flash storage, and an integrated Intel Iris 5200 Pro graphics processor with 128 MB of "Crystalwell" embedded DRAM (and shared system memory). 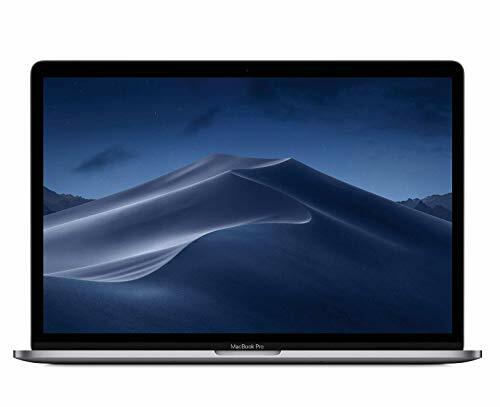 It also has an integrated 720p FaceTime HD webcam and a high-resolution LED-backlit 15.4" widescreen 2880x1800 (220 ppi) "Retina" display in a case that weighs just less than 4.5 pounds (2.02 kg). It does not have an internal optical drive. Connectivity includes 802.11ac Wi-Fi, Bluetooth 4.0, two USB 3.0 ports, two "Thunderbolt 2" ports, an HDMI port, an audio in/out port, and an SDXC card slot. In addition, this model has a backlit keyboard, a "no button" glass "inertial" multi-touch trackpad, a "MagSafe 2" power adapter, and an internal, sealed battery that provides an Apple estimated 8 hours of battery life. 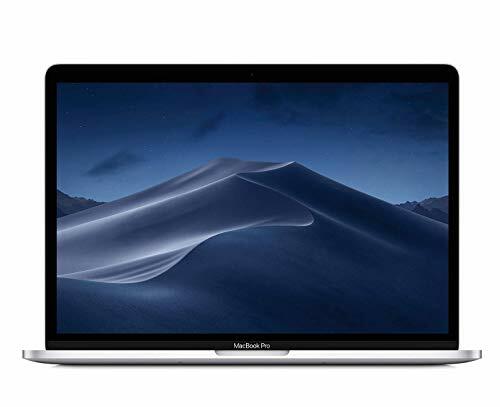 Shopping Results for "Apple Macbook Pro Core"